108 Wong Chuk Hang Road, Hong Kong Island. 【媽媽會 】免費㰖球體驗日 Rugby Fun Day! Aberdeen Dolphins Rugby Club X Mother Club Fun Day ! Through a systematic 1.5 hours fun course run by qualified coaches and adopts a ” Play & Learn ” ethos where kids are taught key motor skills geared towards basic theory such as catching , kicking , balance and coordination , team work and most importantly fun . 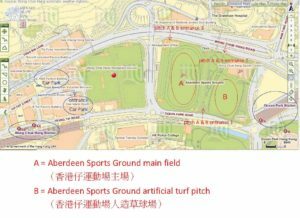 【媽媽會X 香港仔海豚㰖球會 】免費㰖球體驗日 Rugby Fun Day!